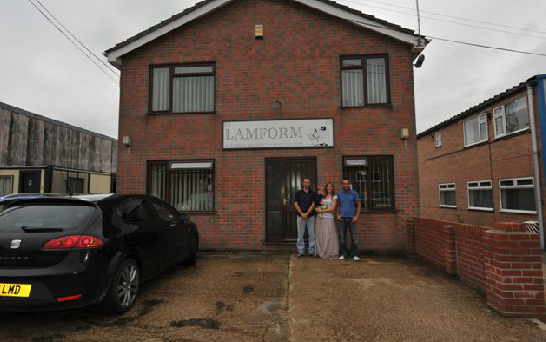 is a family run business which has been trading for more than twenty years . We pride ourselves on our friendly and personal customer service as well as a fast turnaround. We are based on the Uddens Trading Estate between Ferndown and Wimborne and have ample customer parking right outside our showroom. 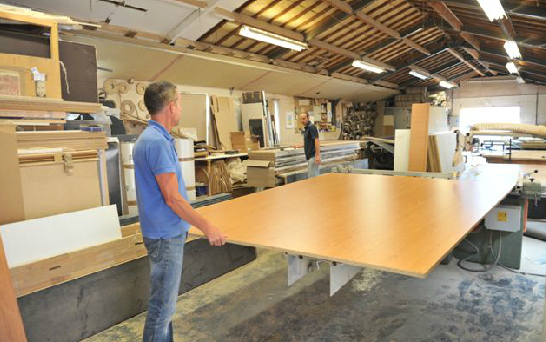 Attached to the showroom we have our factory which is where we can manufacture, cut or mitre the worktops to your exact dimensions or requirements. 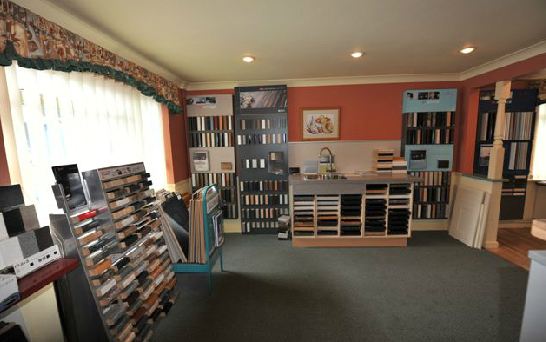 Our showroom offers display stands showing all the ranges of worktops we offer as well as samples of doors, units, handles and other accessories. We welcome all customers whether trade or retail. Steve, Louisa or Bev who run the showroom can offer you expert advice if required and assist in any pricing or measurement advice you may need. Steve also has extensive knowledge of the cutting and manufacturing of the tops. He has been in the business for over 25 years and along with Mike does all the cutting of the tops himself. We are able to offer a delivery service (chargeable) that offers a pre arranged day and time and we can guarantee that we will be there when arranged, so you don’t have to wait around all day for your delivery to arrive . We are a friendly , family run small business who wants every customer to have complete satisfaction with their products as well as a stress free experience. Vinyl wrapped doors, made to measure or standard sized. 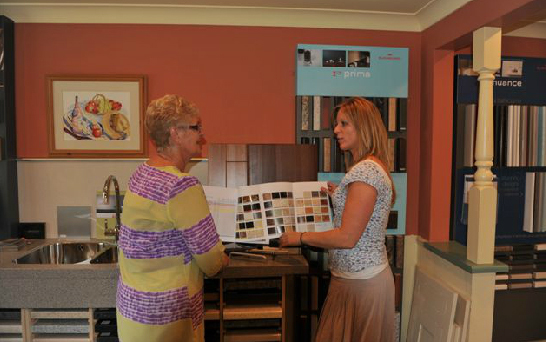 We offer a wide range of laminated worktops which are all displayed in our showroom. There are over 200 different colours and designs to choose from. We are able to offer our customers some alternative work surfaces from the standard laminate tops. These are solid surface materials sat on chipboard or MDF bases. We offer a range of solid granite and Quartz worktops which come with a templating & fitting service. You have a wide choice of colours and designs to choose from. We specialise in providing people with a bespoke service. 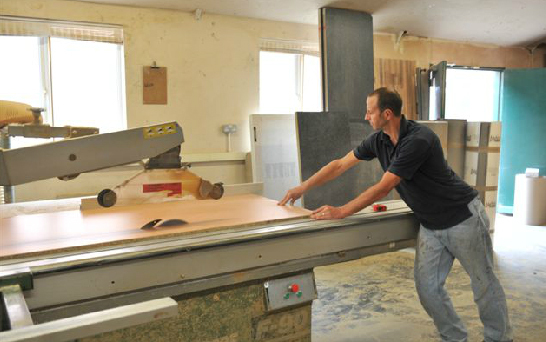 This includes us providing a cutting & jointing service on all laminated and composite. Add a contemporary twist to your kitchen. Fun and funky or classical, depending on what look you want. All are easy to fit and to clean and save on having to tile. Are you looking for an alternative to tiles and the standard worktops in your bathroom? If you want a funky or modern look, then look no further. These are reviews kindly given to us by some of our customers. If you would like to leave a review please contact us and we will be happy to add it to the review page. 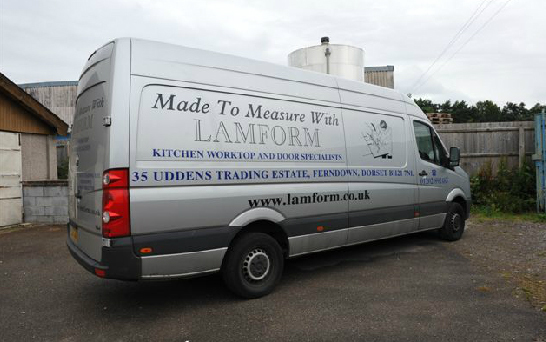 We have bought worktops from lamform before but this time we wanted solid Oak and once again we are delighted . Great service , product and delivery – couldn’t ask for more and would highly recommend . What a marvellous job your fitter Nigel has made of our worktops , it has really lightened up the appearance of our kitchen and my wife is really pleased with it. I just wanted to say a huge “thank you” for the effort you made on our behalf in having the worktops delivered as early as you did. I am very grateful and impressed and so was the carpenter. We are delighted with the new doors which have transformed our kitchen. The service we received from your company was excellent and Ric who fitted the doors was not only efficient but a pleasure to have in our home.